I was the girl who always had tons of candles, store bought room sprays and even those little plug in gadgets that made your house smell fresh and clean. It is interesting now I can't even go down that aisle at the grocery store. The smell is to potent and gives me a headache. I started to learn how many chemicals where in many of those store bought products and stopped using all of them......but I still needed something! Using essential oils in my home has been the trick for me. So I have different diffuser recipes that I love, but I still needed something to quickly spritz the room or even the furniture to bring that clean cozy scent. Problem solved I made my own room sprays!!!! I am going to share with you some of my favorites. I only use the best quality essential oils for my room sprays. The ones you find at the health food store do not work for me. Click Here to learn more about the essential oils I use. Want to order some essential oils? Head over now to get started. I love making these for people as gifts! I love making these spray's and making cute labels for them. People love them. 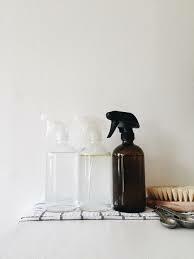 Make sure you give the bottle a shake before you spray to make sure the oils are mixed into the water.